On the other hand, oil from nine out of 10 California growers tested was not found to be compromised. The timing for California growers was impeccable: California olive cultivation had been on the rise for half a dozen years already; now it boomed. Meanwhile, in a slender valley in Northern California’s Blue Ridge Mountains, the Yocha Dehe Wintun Nation had already planted Arbequina olive trees. In 2011, the tribe milled an inaugural batch of premium extra virgin olive oil made from the fruit of those Capay Valley trees. That was the seed of an ambitious crops-to-market vertical integration strategy for growing food sustainably while maximizing income. Since other olive producers nearby were also making plans to expand their groves, there was no time to waste. Bold Decisions: Raised in Yolo County, Etters began working with the tribe in 2003 just before it opened a $200 million expansion of its 1985 Cache Creek Casino. The tribe wanted to develop a sustainable agriculture enterprise; Etters presented the tribal council with an idea. The tribe now owns 15,000 acres in western Yolo County, upon which it manages 600 head of Angus cross cattle and raises 15 to 16 different organic and non-organic crops. The tribe grows olives for olive oil, grapes for estate wine, and bee pollen for dark amber wildflower honey. Although it sells most of its cattle at auction, it finishes and processes some locally to sell as prime cuts, beef sticks, and jerky. Etters does not under-rate the importance of the project’s timing. The tribal council sought a brand name that would reflect its 4,000-plus-year heritage in Capay Valley. “‘Seka’ is Patwin for ‘Blue,’ and the Blue Ridge Mountains are right on the west side of Capay Valley,” Etters says. “They wanted a brand name that connected the Patwin language and the land.” They launched the Seka Hills brand in 2011. 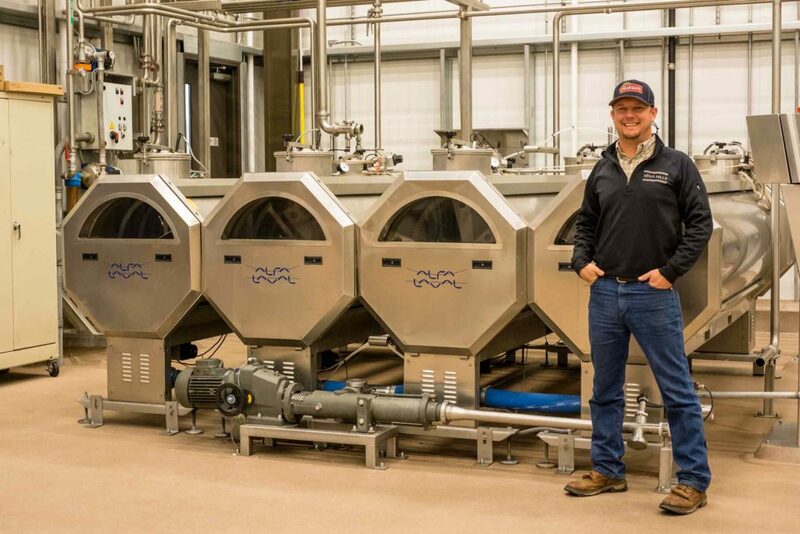 They bought an Italian-made Alfa Laval mill with a 3.5 tons-per-hour capacity, opened it in 2012, and made it available to the other olive growers in the region. The tribe purchased an Italian olive-oil press; in addition to pressing their own oil, the tribe makes their equipment available to other olive growers in the region. The Market: A big key to a successful vertical integration plan was having a large existing market close by and an additional potential market that could be tapped. The close by part was easy enough. Sacramento has been calling itself the Farm-to-Fork capital for some time, its chefs eagerly promoting Central Valley and Sierra Nevada foothills ingredients on their menus. Ninety miles to the southwest, San Francisco has a abundant restaurants and a food-loving population willing to pay more for fine olive oil grown nearby. The Seka Hills extra virgin olive oil sold itself. 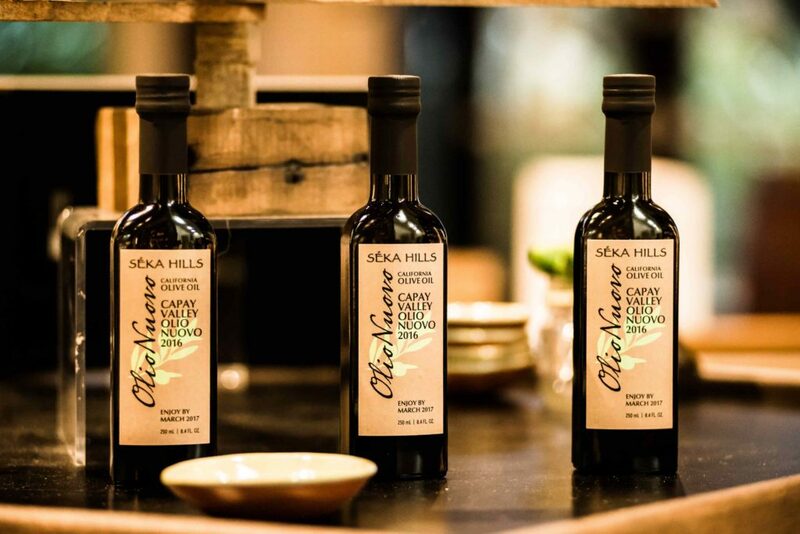 The premium olive oil and other Seka Hills products are distributed in 700 locations, Etters says, including an acclaimed restaurant called Preserve in the nearby ag-chic town of Winters, and Alice Waters’ celebrated Berkeley restaurant Chez Panisse. “Everything from the way we harvest the fruit to the way we process the fruit into oil, the way we store it and the way we package it, is all about freshness and maintaining freshness and the real big flavors of the oil,” Etters says. Taste Experience: Once Etters proved to the tribal council that he could make and sell the oil (in year one, production sold out, he says), the next step was teaching potential new buyers how to identify and enjoy boutique extra virgin olive oil. A new tasting room would serve that goal. The 14,000-square-foot building opened in 2014. Designed with floor-to-ceiling interior windows opening into workrooms filled with shiny tanks and powerful centrifuges, the tasting room has a long bar where customers can sip, slurp, and enjoy the scents of Seka Hills premium olive oils and estate wines. Surrounding it are plenty of displays packed with Seka Hills products to buy, including honeyed almonds, premium and single variety olive oils, estate wine, gift packs, the wildflower honey. As focused as it is on its production centers, the tasting room’s interior design also directs a person’s attention outside through exterior windows, where the Yocha Dehe Wintun Nation land rolls toward the blue-shadowed mountains that lent the brand its name. A new tasting room opened in 2014, offering visitors a chic, premium experience. The undulating terroir is perfect, Etters says. “It’s not soil in which you’d want to grow row crops or vegetables,” he says. “Even nut crops don’t do so well. But it’s very conducive to growing very good olives, because olives love poor soil. They also use a lot less water than any other crop. We’re using less than half the water we would use to irrigate an almond or a walnut.” This makes the drought watchers of California happy. It seems he’s on a winning streak.